Ukrainian President Petro Poroshenko plans to arrive at the Olympiyskiy Stadium in Kyiv to have his test samples taken by specialists from the Voluntary Anti-Doping Agency (VADA), the presidential office told Interfax-Ukraine on Wednesday. "Poroshenko will come to Olympiyskiy at the time indicated by [former Ukrainian professional boxer and world heavyweight champion] Volodymyr Klitschko," the office said. Poroshenko's rival in the presidential election, Volodymyr Zelensky, had proposed in a video posted on the evening of April 3 that both presidential contenders undergo medical tests so that the voters could be sure they would have a healthy president. He also set a number of other terms for holding election debates with Poroshenko, particularly demanding that the debates be held at the Olympiyskiy Stadium. Poroshenko posted a video reply several hours later, in which he accepted Zelensky's proposal on holding debates at the stadium. Oleh Medvedev, a spokesperson for Poroshenko's campaign staff, said at a news briefing on April 4 that the president would be waiting for his opponent at the medical center at the Olympiyskiy Stadium at 9:00 a.m. the next day, on April 5, to have their test samples taken. Zelensky's political consultant Dmytro Razumkov said the same evening that their campaign staff viewed the medical center at Olympiyskiy as possibly not impartial and proposed that the medical tests be arranged at one of Kyiv's private clinics. On the morning of April 5, Zelensky had a blood test sample taken from him at a private clinic in Kyiv. 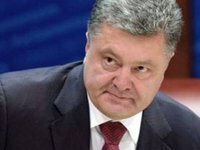 Poroshenko had blood, urine, and hair samples taken from him at the Olympiyskiy medical center the same day. As the candidates had their test samples taken at different medical institutions, members of their campaign staffs immediately started saying on social media that they would not trust their opponents' test results because of the medics' possible partiality. After that, Volodymyr Klitschko proposed that both candidates undergo VADA tests and offered to help arrange the procedure and cover whatever expenses were involved.